There are few things more frustrating than floundering with the local language while traveling. Many of us are probably guilty of using hand signals and a foreign word here or there, but it’s not exactly the best way to communicate if you want to get the most out of your stay. 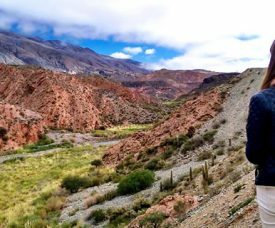 If you’re headed to Peru , knowing some Spanish will help you better understand the culture and make your trip much more fulfilling. 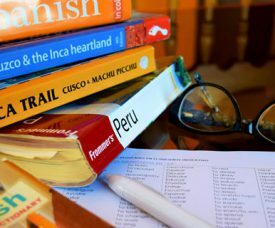 If you really want to get serious about your Spanish, there’s no better way to do it than by taking Spanish lessons in Peru. While you don’t need to know how to discuss the state of the global economy with the people in Peru, you should at least know the basics like introductions, ordering meals and getting from A to B on a bus. Therefore, I made the following list for you! How to get the real travel experience! If you are traveling in Peru – or: in Bolivia, Ecuador or Chile, and will be heading to Peru – this is your chance! Come to Cusco and Brush Up your Spanish skills in our special course for Travelers! This is the perfect way to get the real travel experience and make the most out of your travels in South-America! Is your first question when interacting with local people always “Hablas inglés” or “Do you speak English”? Do you feel uncomfortable communicating with the local people when ordering a plate, asking for prices, hiring a guide or contracting a tour? What about negotiating with the taxi driver (because you know he is overcharging…)? Wouldn’t it be great to actually be able to express yourself stop relying on your travel mates that speak Spanish better than you?